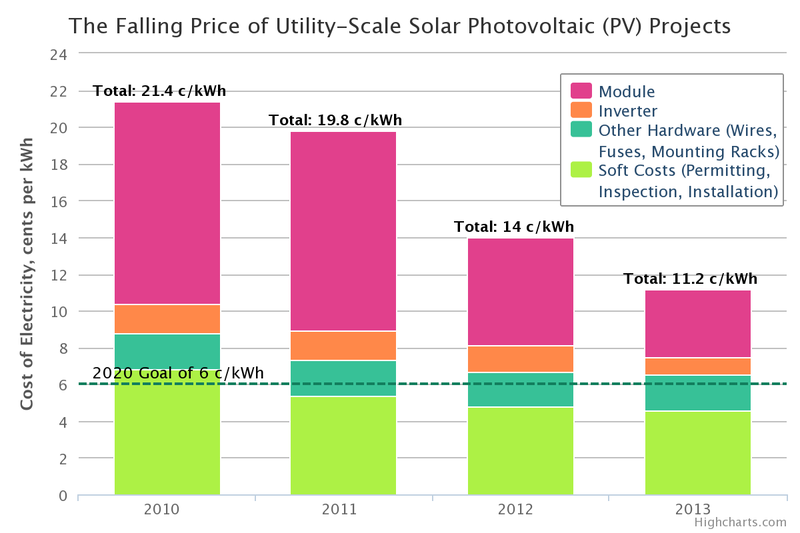 UPDATE: In 2015 the price of solar modules had dropped to $0.57 / Watt. It has been observed for that for manufactured products, each time the total amount of that product is doubled, the cost declines by a certain percentage. This was first observed in the aircraft industry and since then has been seen in products from calculators to flat panel televisions and even solar modules. 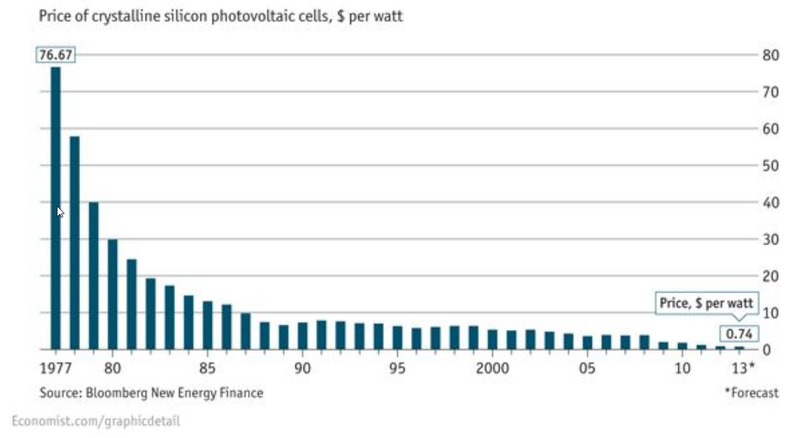 For silicon solar modules the cost reduction per doubling is 17%. Graphs showing this are called experience curves. 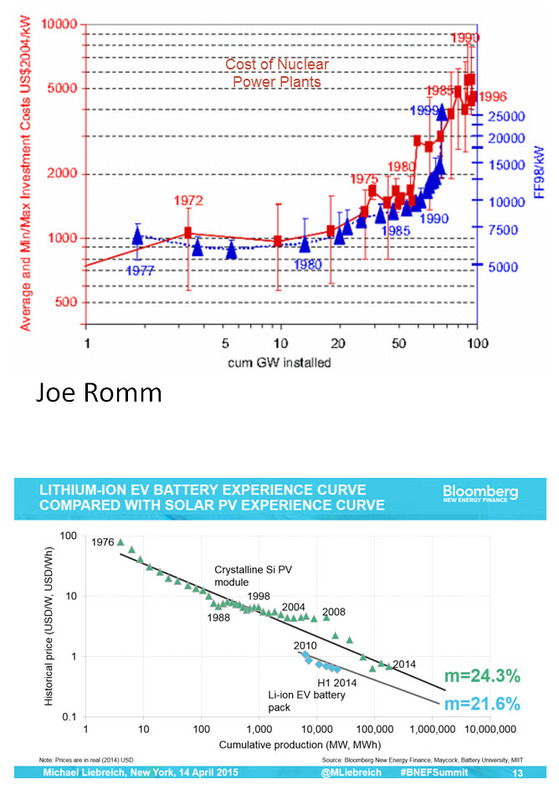 There is a long historical precedent for this in photovoltaics but it also has occurred with wind power and is now happening with Li-ion batteries. See More Links at the bottom of this post. 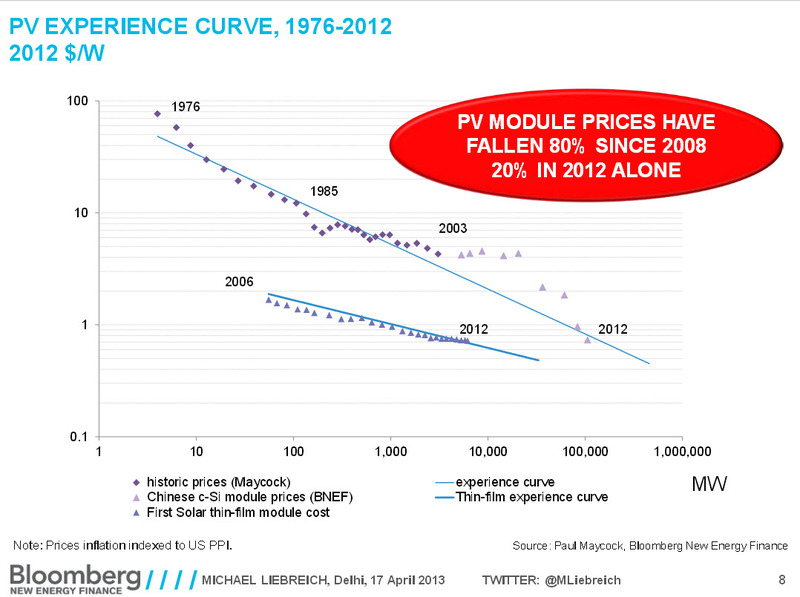 And PV Installed costs are dropping as well with Germany leading the way. 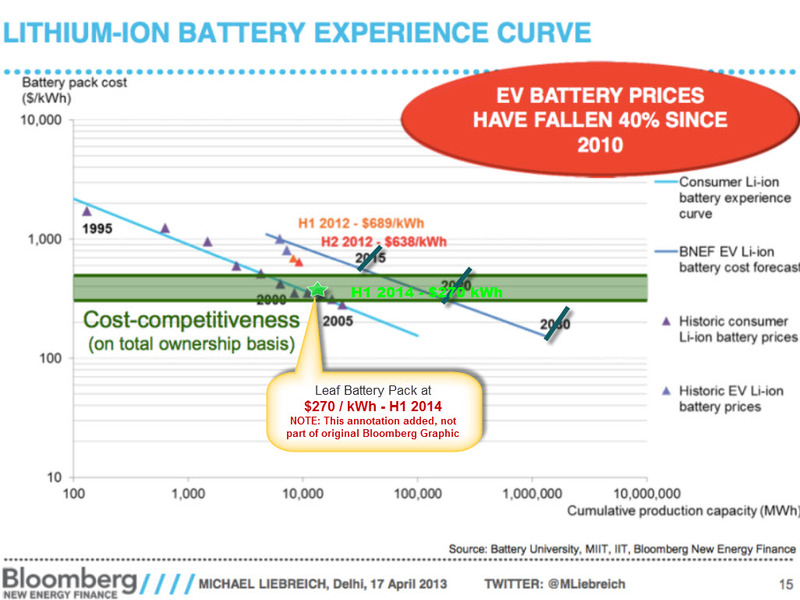 McKinsey – Grid Parity is coming . 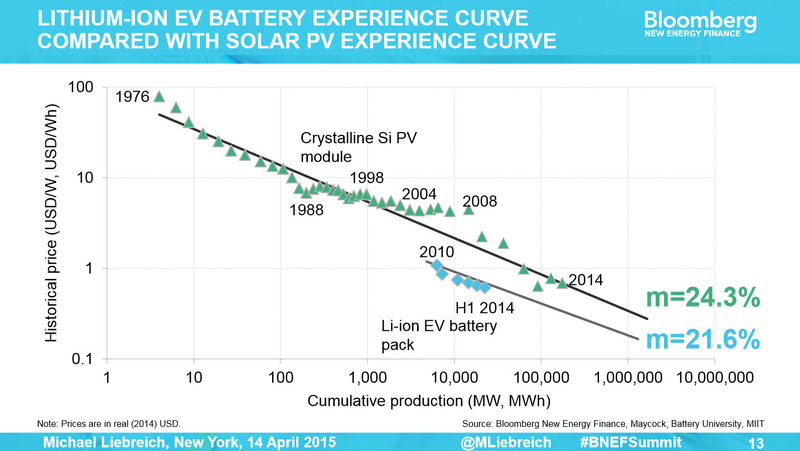 This Paper and this one used experience curves to predict today’s PV module prices. 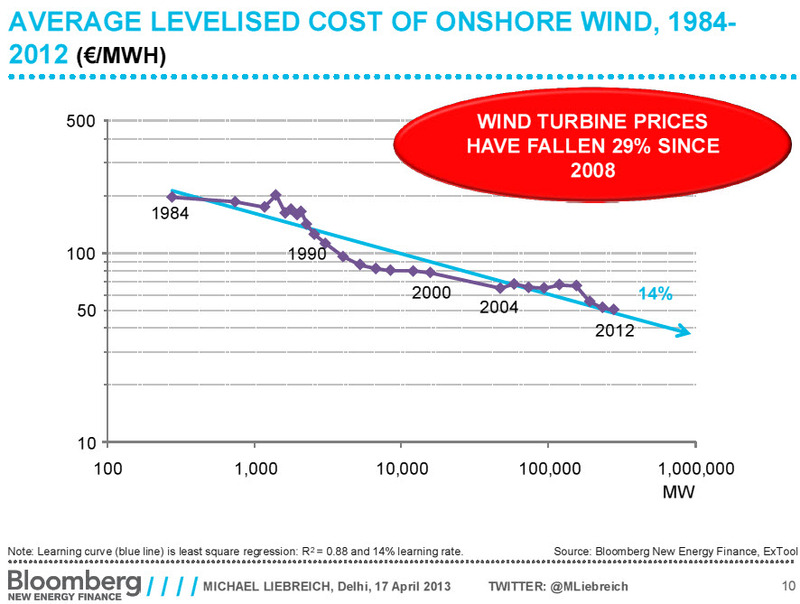 Mainstream sources consistently underestimate growth of renewables. 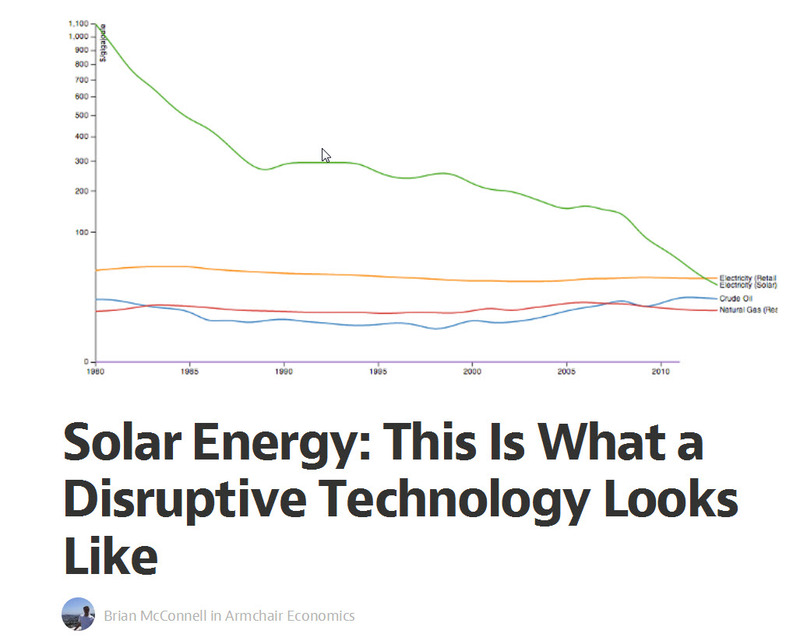 This entry was posted in Path to a New Paradigm and tagged economics, Photovoltaics, PV Cost Reduction, Wind Energy, Wind Power. Bookmark the permalink.